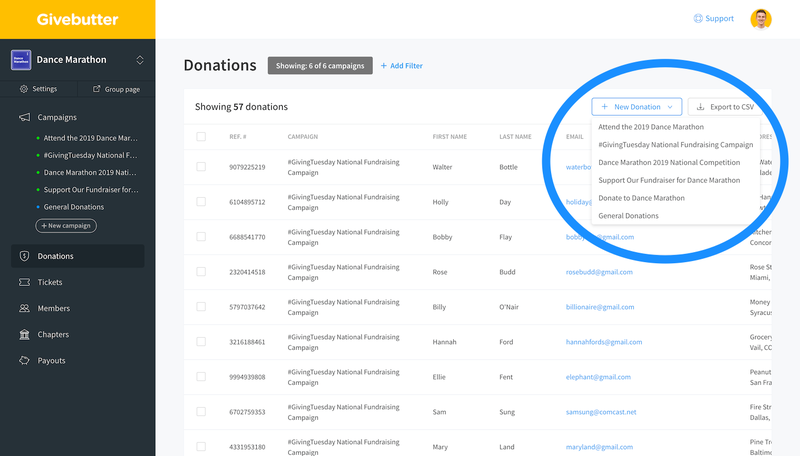 No matter where you receive your donations, you can now record them to any campaign on Givebutter with all of the built-in benefits of tracking, email sending, and advertising the donation. 2. 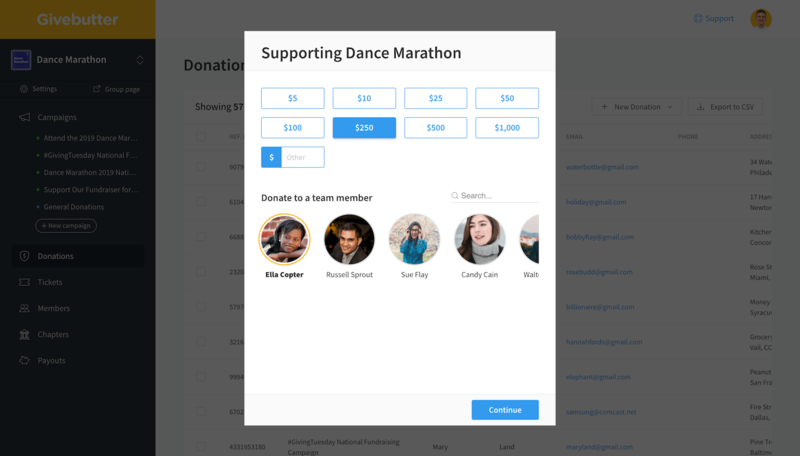 You have the option to credit specific teams and members with donations. If you're selling tickets, you can buy/issue those from here as well! 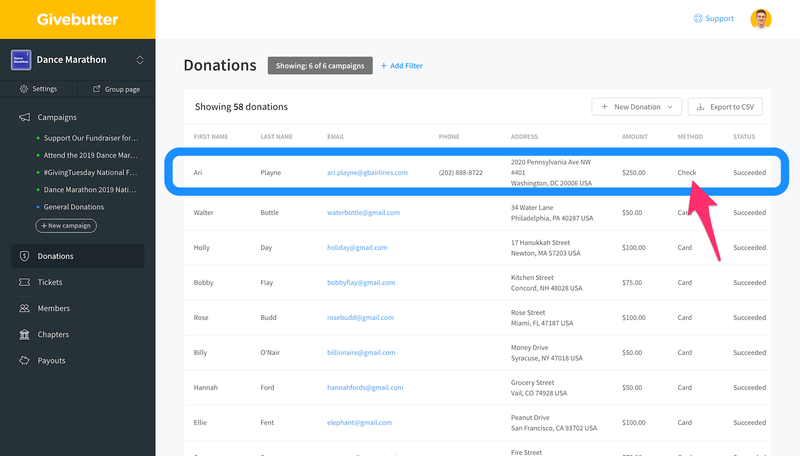 In a nutshell, donations that are processed through your dashboard are treated exactly like any other donation on Givebutter, but give you some awesome new abilities for quickly recording offline payments, sending those donors email receipts, and processing all kinds of payments quickly and directly all in one place. 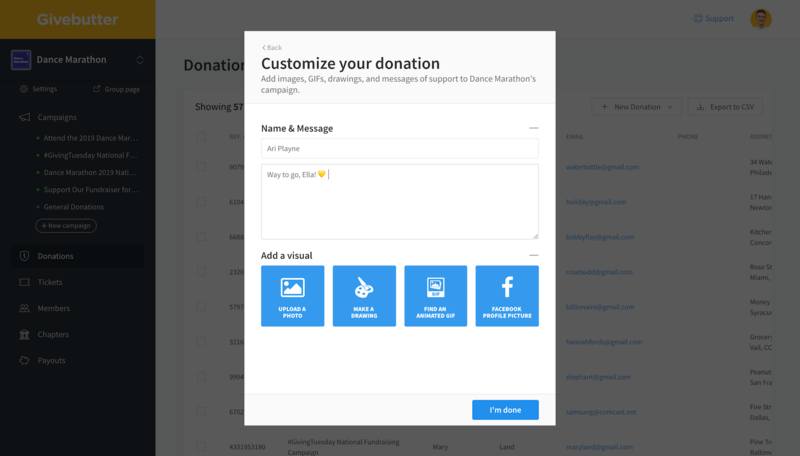 We're living in an age where the tools for raising and donating money are constantly evolving, and it's our goal for Givebutter to help you take advantage. 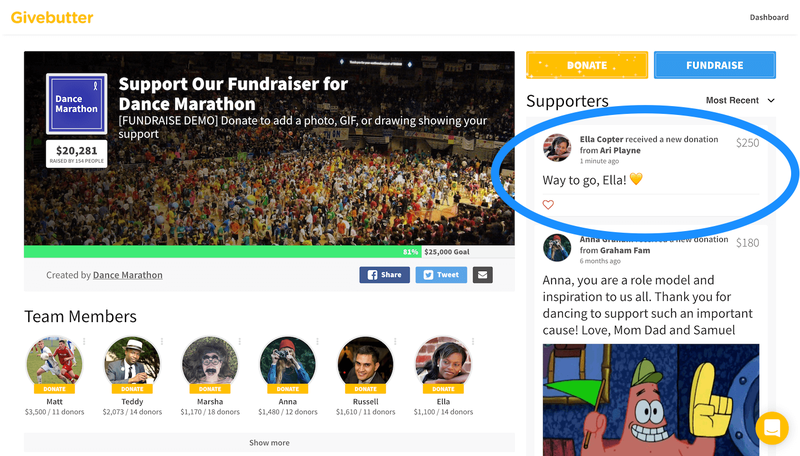 With the addition of Offline Donations, Givebutter can truly be a central hub for all of your giving activity. For February, we've got a whole new signup flow on its way, as well as drastically improved onboarding for new users and members, even more dashboard updates, and maybe even a surprise or two... it's a short month, so let's get cranking!